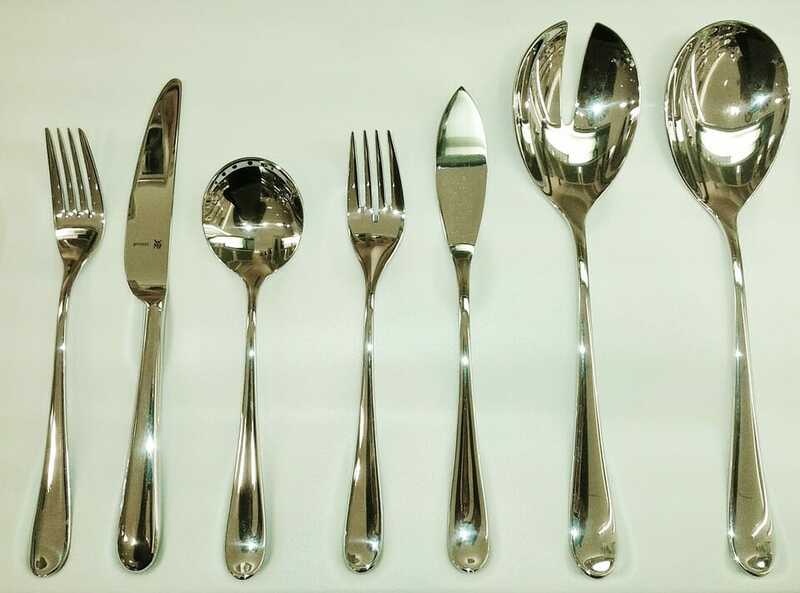 Cutlery – why we use it to eat? 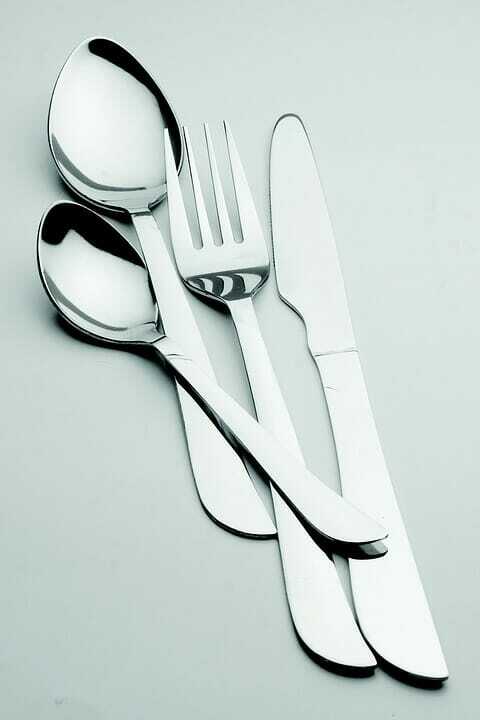 Cutlery are basic equipment of each kitchen. We use it since always – at least we have that impression. Although it is normal now that we use it, it was not so obvious in the past. Yet today we can’t imagine eating without using them. We can’t remember times where cutlery didn’t exist and people had to eat without them. When first spoons and forks were created, many people found it hard to accept such modern inventions. So how does it happend, they are in every kitchen? What is the story of these useful tools? Fork appeared much later. It was invented in Middle East and in the beginning was used only to chop meat into a smaller pieces. Fork function was not to putting a food into mouth, but chopping meat. After that it was used to carry this little portions on the dish. First fork was simple tools. It was meant to stab the meet only, not to draw more food on it. The first forks had only two tines, although later were produced forks with bigger amount of tines. Forks were mentioned for the first time in 1611. Note was made in English language. Someone can find it funny, but first of all forks were completely rejected by catholic church because of it shape – they were looking a bit like pitchforks, which was the Satan attribute. Church claimed that fork is cursed and using it immoral. It was absolutely forbidden to use it. Furthermore byzantian princess, who brought a new custome of using fork to Europe died really young, which was recognized by the oponents of this invention as the proof of bad consequences of it use. Fortunately this irrational superstiotion couldn’t live long. Protesting on using it ended soon and fork became basic equipment of every dinning room. The first city where the fork fast became common tool was Venice. Italians realized that it shape makes it perfect to wind a spaghetti on it. 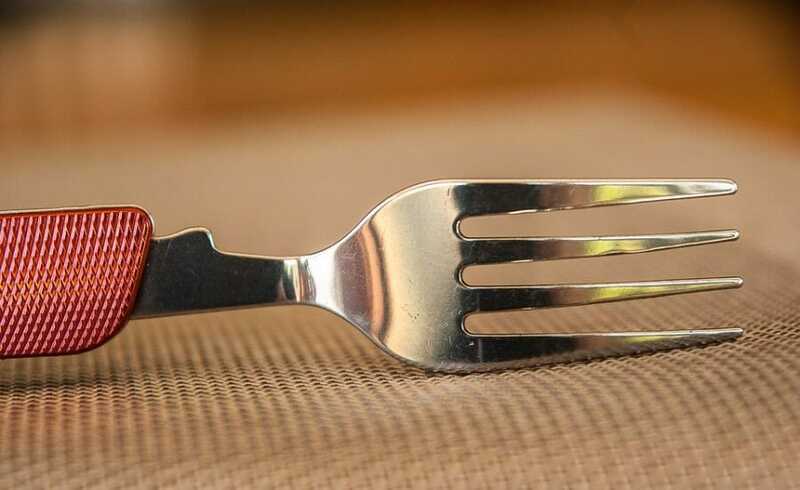 Fork was brought to Poland by Italian – Queen Bona. Before spoon was invented – the spoon we use today to eat and draw portions of food, there were other methods used by people to eat. They used natural objects with simillar shape with cavities. It is interestind that names of cutlery came from this spoon precursors, like snail shell, which is (from greak and latin) „cochlea” – name for ladle, named in some countries (for example in Poland „chochla”). English „spon” (slate of tree bark) transformed into „spoon”. On the beginning of its exsistance spoon was made from wood. Now metal is used, although wooden spoons are still used to make tools used to mix ingredients while cooking. There is English idiom „to be born with a silver spoon in mouth”. Silver spoons were once seen as symbol of wealth. Other believed that silver is what expels ghosts, that’s why it became popular gift for christening. But most popular cutlery are not spoons, knifes or even spoons. Those are chopsticks. Although in Europe using there is not so popular and it seem to be more interesting culinary experience, they are in fact used by more than two milliards people. Asian people have nice cooking rule – you cook food in kitchen, when you put in on the table it should be already chopped, so you could put it staright in mouth. In Europe often people stab food on chopsticks, what is big faux pas. Before we start eat with chopsticks in public, we should be sure that we know how to do it. Pianka z Tanka is around-the-clock restaurant in Warsaw. You can have a great, fresh beer or delicious food from our original offer every time, every day of a week. Good beer and fantastic food 24 hours a day, 7 days in week only in Pianka!